San Francisco has some of the most beautiful natural reserves and parks in all of the United States. From lush fertile valleys in Yosemite National Park to the waters of Lake Tahoe, the variety of nature parks for ESL students to visit appears almost endless. Why not kayak on a crystal blue lake or walk along a mountain path and take a look at the local wildlife? Camping or staying at a lodge could be a lot of fun too, giving ESL students an opportunity to really experience the great outdoors of sunny California! Below are just a few of the fun and exciting parks that students can visit in California. Read on to learn more about them! What makes Golden Gate Park so amazing is the amount of attractions, activities, and events that are available for students to enjoy. Firstly, there are at least four different kinds of gardens that ESL students can visit while at the park, including the Japanese Tea Garden and the Whilimena Tulip Garden. In the Japanese Tea Garden, students will be treated to man-made waterfalls, lanterns, statues, and a massive Japanese style tea house! 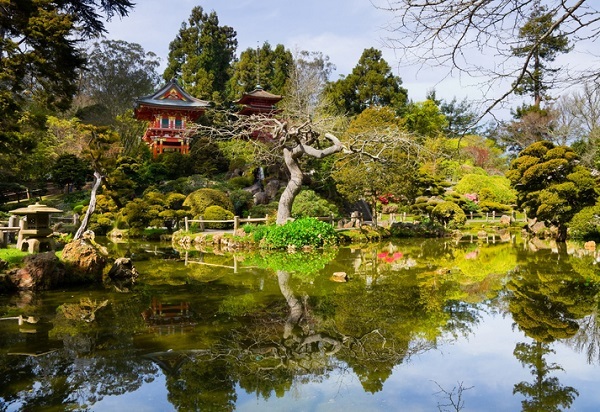 The Japanese Tea Garden is a must see! Students taking ESL courses in California can also try taking a paddleboat with a friend around the park’s Stow Lake. Paddle boating is a fun and relaxing activity, giving students a chance to enjoy some of the sights. Students can even participate in sporting and recreational activities like tossing horseshoes, playing baseball, and biking around the park. Studying English in California? Come Visit Kings Canyon National Park! 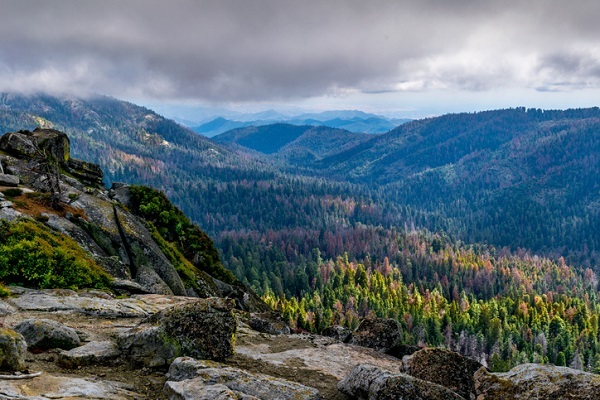 For ESL students who really want a chance to explore some of the authentic nature in California, visiting Kings Canyon National Park can be a wonderful idea. Much of the park is surrounded by sprawling snow capped mountains and lush green forests and valleys. The park is also home to amazing sights like the mighty Grizzly Falls, and the 1,500-meter-deep canyons near Cedar Grove. For ESL students looking for a great photo opportunity, this park offers many beautiful views. The land where the park is now located has had a long and rich history. It was home to the Paiute as well as the Yokuts for close to 7,000 years. Kings Canyon National Park was also explored by early Spanish settlers and prospected during the California Gold Rush. While no gold was found during the Gold Rush, it did lead to the discovery of a huge forest of sequoias, which are giant and beautiful trees. 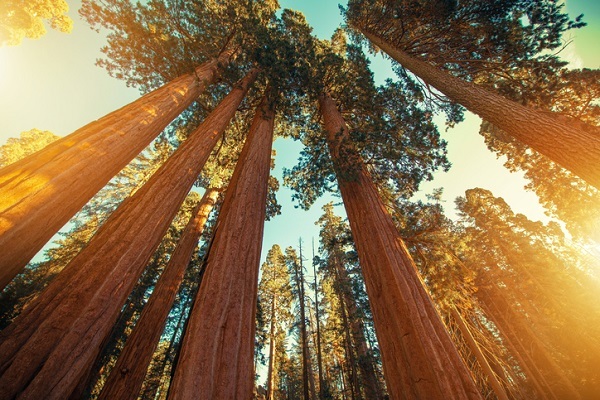 Students looking to study English in California can benefit from seeing these massive trees and other natural wonders when they visit the park! Grand View Park is also known as Turtle Hill because one of its hills resembles the shell of a turtle. This local park is great for ESL students looking to relax. Students can choose to take a walk along the park’s many paths, or get some exercise by riding a bike or roller-skating. Students may also want to try walking up to the very top of Turtle Hill, which is approximately 203 meters high, for a terrific view of San Francisco’s Sunset District. Turtle Hill is also a special park for many San Franciscans because of the beautiful endangered plants being preserved there. Some of these beautiful plants include the yellow and white Franciscan Wallflower and bright red Bush Monkey Flower. There are many others flowers at Turtle Hill that would be perfect for a photo or two during an afternoon trip! Would you like to study at an ESL School in San Francisco? Contact the English Studies Institute for more!